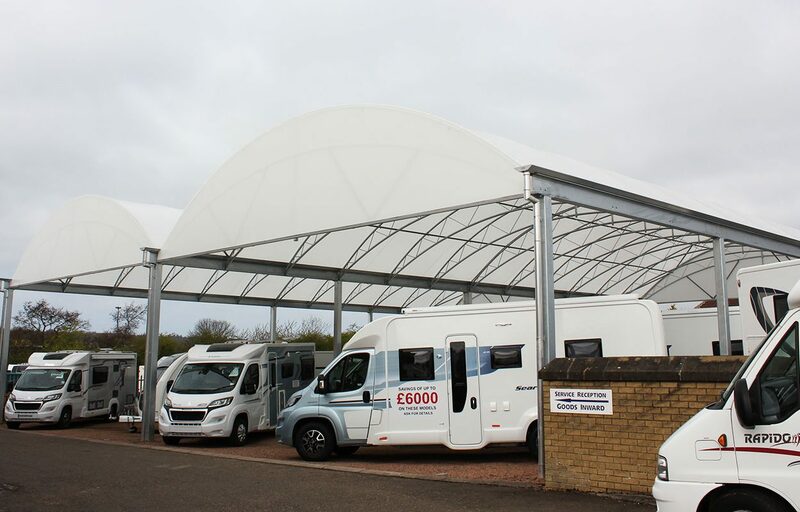 Fordingbridge were approached by this family owned business to enhance their buyers’ experience and protect stock with the installation of a large, twin span steel canopy. 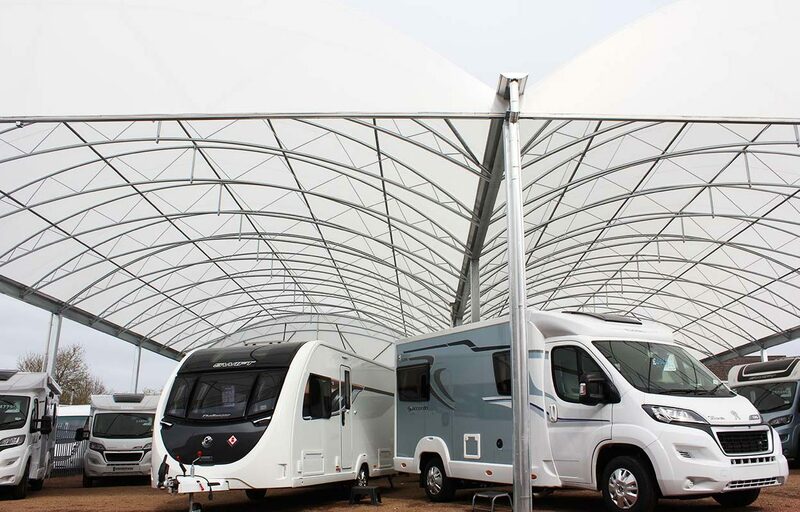 Operating one of the largest retail touring caravan centres in the UK, Knowepark Caravans & Motorhomes situated between Edinburgh and Glasgow, have a large selection of both caravans and large motorhomes which they were seeking to protect from various weather elements. 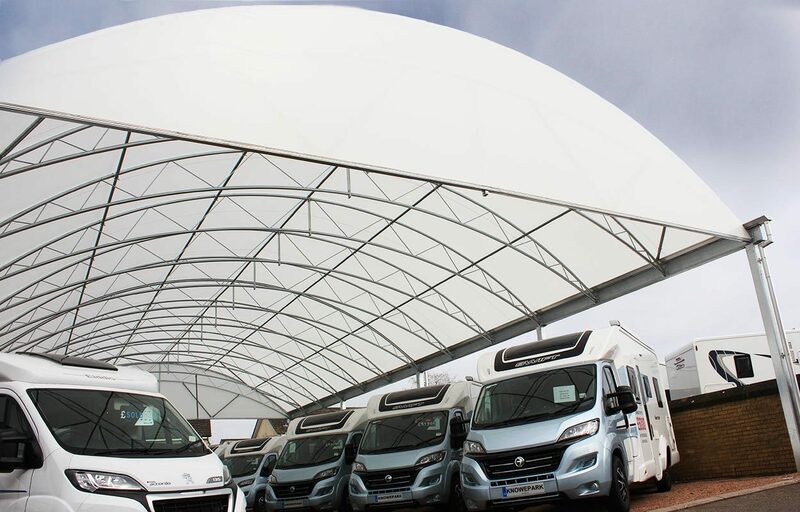 The installation of one of our versatile taper trellis canopies provides protection from rain creating dust on the vehicles and, thanks to our custom developed Opal 60 fabric, protects the paintwork from harmful UV. 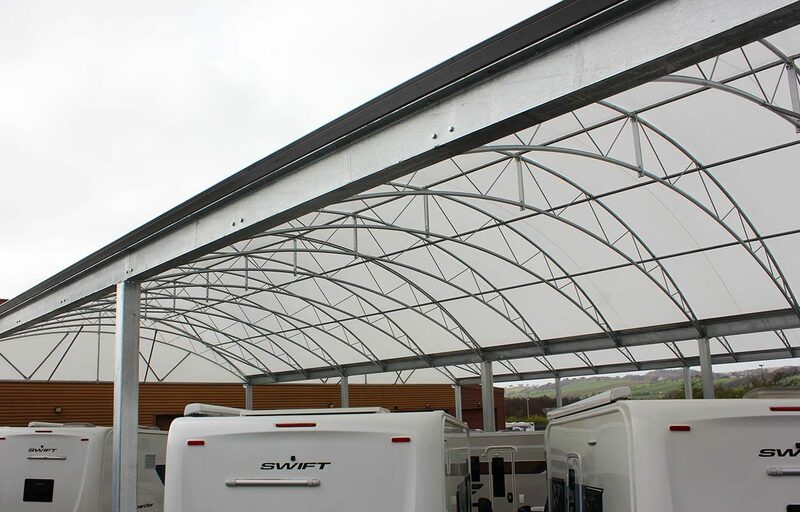 The design of the canopy allows free movement of even the largest motorhomes while also allowing shoppers to browse future purchases in comfort.